In a season wracked by short fields, Martinsville will see the fifth-consecutive 40-car grid in 2017, the longest streak all year. Once again, however, it will be exactly 40 cars for 40 spots. That said, Derrike Cope and his new team StarCom Racing will not race their #00 Chevrolet after their difficult weekend left them last in Kansas. Premium Motorsports has also chosen not to enter the #55 for the first time since Watkins Glen, perhaps because of the team’s alignment with Tommy Baldwin Racing (see below). Reed Sorenson will still drive Premium’s primary #15 Low T Centers Toyota. In place of the #00 and #55 is a returning Motorsports Business Management with Timmy Hill in the #66 O.C.R. Gaz Bar Chevrolet. Hill will be driving a brand-new chassis, just the second Cup car built by the team since their debut in May. Team owner Carl Long has never himself made a Cup start at Martinsville while Hill’s best of three starts was a 33rd for Rick Ware Racing this past spring. Speaking of Ware, Martinsville will also see the Cup debut of 19-year-old ARCA Racing Series driver Kyle Weatherman. Weatherman, from Wentzville, Missouri, has 50 ARCA starts on his resume with a single victory on the New Jersey Motorsports Park road course in 2015. He made his only NASCAR start that year, a one-off for Carlos Lira in the Truck Series finale at Homestead, where he ran 23rd. Weatherman faces a stiff challenge this week, and will tackle it in Rick Ware Racing’s #51 Chevrolet last raced by XFINITY Series regular B.J. McLeod. 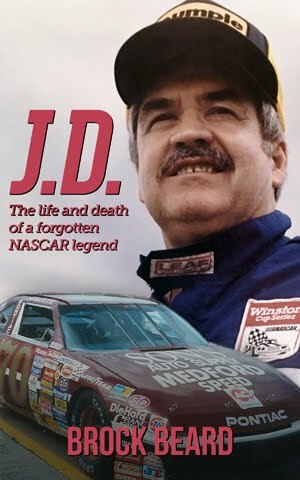 Weatherman will drive the #51 again at Phoenix in two weeks, while Ware’s plans for Texas and Homestead are still to be determined. Welcome back driver and broadcaster Hermie Sadler, who returns to his home track for his first Cup start since 2012. In his driving career, 13 of his 64 Cup starts have come at NASCAR’s smallest track, where his best finish was 26th on three occasions. He will drive in place of J.J. Yeley in the former Tommy Baldwin Racing #7 Chevrolet, now under the Premium Motorsports banner. The #7 will carry sponsorship from the Virginia Lottery, which backed Sadler since his Cup debut in 2001, including a career-best start of 8th at Martinsville in 2002. The preliminary entry list didn’t have a driver listed for BK Racing’s #83 Toyota, which will carry sponsorship from Earthwater for the second-straight race. Whoever the team selects will be teamed with Corey LaJoie, 28th in his Martinsville debut this past spring, in the #23 Schuyler Systems Toyota. 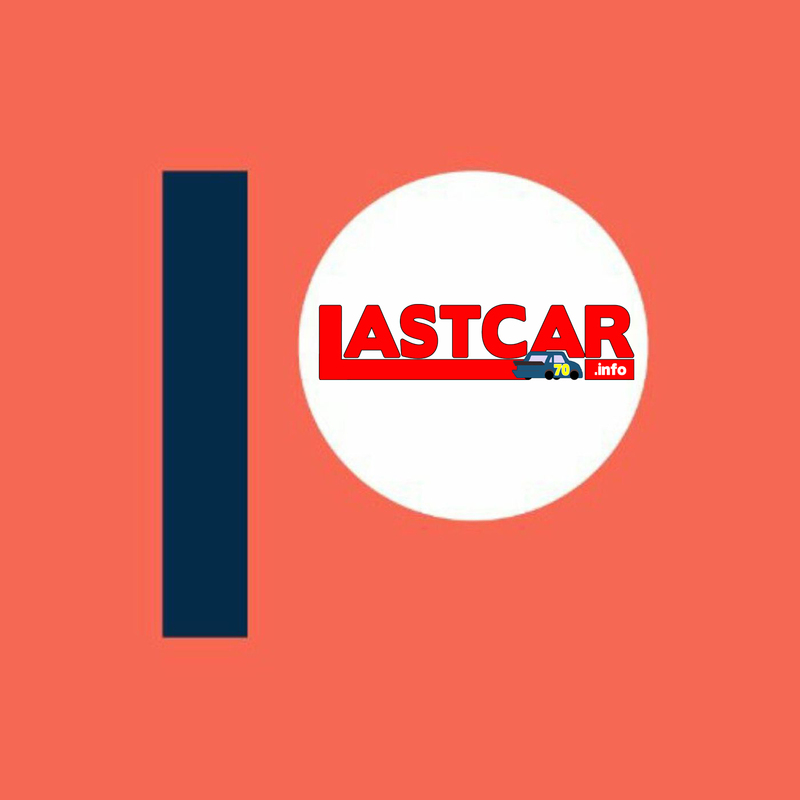 The same list also showed no listed sponsors for the Chartered entries of Joey Logano, Michael McDowell, and Kurt Busch (though a SHR team promo indicated State Water Heaters will be on Busch’s #41 Ford). Following a fan poll over the summer, Dale Earnhardt, Jr. will run the second of three different "throwback" paint schemes this weekend. He will run the Buddy Baker "Gray Ghost" paint scheme, originally slated for Junior to drive last year at Talladega before he was sidelined with a concussion. While known for his superspeedway prowess, Baker scored a win at Martinsville on September 23, 1979, leading 209 of 500 laps. 35 trucks will arrive in Martinsville to contest a spot in the 32-truck field for Saturday’s race. With the switch from Talladega Superspeedway two weeks ago to the Virginia short track, several teams have been swapped out. Topping the list of the five teams missing from Talladega is Henderson Motorsports and the #75 Food Country USA Toyota which took the checkers with Parker Kligerman. Joining them are Chris Fontaine, following his savage crash in the #47 Glenden Enterprises Toyota; Bolen Motorsports, whose driver Vinnie Miller survived to earn a 7th-place finish in the #66 Chevrolet two weeks ago; and Clay Greenfield, who led a lap and brought his battered #68 Chevrolet home 8th. Mike Affarano has also not returned following his withdrawal at Talladega. In their place are nine teams with different agendas. For Cram Racing Enterprises, this weekend will mark their team’s series debut. The family-owned team behind the #11 Bojangles’ / Fluidyne High Performance Chevrolet will put NASCAR Whelen All American Series Limited Late Model driver Dawson “DK” Cram behind the wheel for his series debut. Having just turned 16, Cram will be the youngest driver in the field if CRE gets the truck into the show. We haven’t seen Michigan winners MDM Motorsports since Mosport over a month ago, when Brian Wong earned a 12th-place finish in the #99. 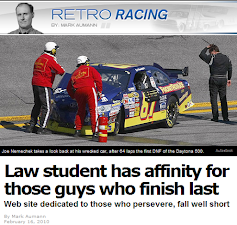 Behind the wheel this time is Cale Gale, a flashback in his own right. The 2012 Homestead winner hasn’t made a start in the series since November 15, 2013, and hasn’t run Martinsville since this race five years ago. His sponsor Rheem has joined the effort. Brandonbilt Motorsports hasn’t started a Truck Series race in just over a year, and returns this week with 17-year-old short track star Mason Diaz making his NASCAR debut at his home track. 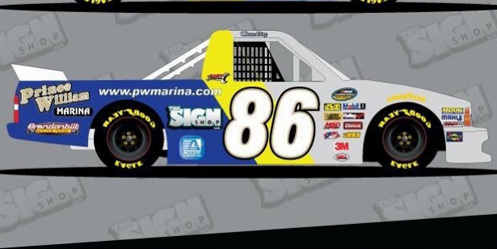 Diaz will drive the #86 Prince William Marina / The Sign Shop Chevrolet. Bryan Hill has a truck on the list for the first time since Sheldon Creed ran 27th at Eldora after overheating issues. Driving the #20 State Water Heaters / Ward Burton Wildlife Foundation Ford this time is Jeb Burton (in place of Tyler Young), who returns to the Truck Series for the first time since Texas in the fall of 2015. Following a limited XFINITY run for JGL Racing this year, Burton will now race against his cousin Harrison Burton, who returns to KBM's #51 Toyota for the first time since Bristol. Martins Motorsports is also back for the first time since Las Vegas, along with Austin Wayne Self, whose strong run that night ended in a hard crash. Self drove for Al Niece last week in the #45 Toyota, finishing 18th, and now returns to a track where he missed the cut in the spring driving for his family’s #22 team. Driving in place of Self in Niece’s #45 is Jeffrey Abbey, who we last saw finish 14th in his series debut at Eldora. Todd Gilliland is entered in his first Truck Series race since last month at Loudon, where he earned a season-best 3rd behind Christopher Bell and Ryan Truex. Here more than perhaps any other track, Gilliland may be able to rely on his K&N Pro Series career, where he’s dominated on the circuit’s many short tracks (although the Trucks use radial tires in place of K&N’s bias-ply rubber). Also returning this week is the second truck from Jennifer Jo Cobb Racing, the #0 last seen finishing 25th at Las Vegas. As at Vegas, Matt Mills will drive, eyeing his Martinsville debut. ARCA driver Mike Senica returns to Norm Benning’s #57 Chevrolet for the first time since running 27th in that same Vegas race. D.J. Copp withdrew the #36 Chevrolet on Thursday, leaving current LASTCAR leader Todd Peck without a ride. Copp’s primary #83 goes to Landon Huffman, his first start in the series since Bristol in August, where he ran 20th. Mike Mittler’s primary #63 goes to dirt tracker Chris Windom, who ran 19th at Eldora, but missed the cut at Bristol. 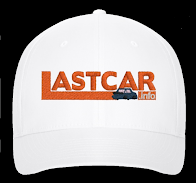 In other news, LASTCAR contender Joe Nemechek will not be driving his "start-and-park" #87, as it will run the full race with Cup rookie Ty Dillon driving and sponsorship from Gracie Foundation, Inc. Both TJL Racing's #1 with Jordan Anderson and Beaver Motorsports' #50 (likely with Josh Reaume, although as of this writing bo driver was listed) were not added to the entry list until Tuesday, upping the truck total from 33 to 35. Anderson is currently preparing a new wrap for TJL's humble race transporter.